Meet Our Chief Editor Kalley! 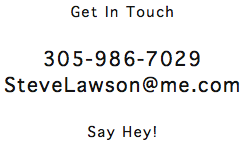 I am the chief editor of Michelle Lawson Photography and have been with the company since the beginning! I’m so blessed to live the life I do and working with my incredible family. It’s my goal to make sure everything is absolutely perfect for our brides and grooms. It is such a privilege. Editing these photos and making them into something more beautiful than anyone can imagine makes me so happy. I am married to the absolute love of my life and best friend. One of the many joys of my life, I wouldn’t be me without him. I believe having fun and laughing through life is the best way to live. If there is no joy, there is nothing. I love the spontaneity of life. I love traveling the world and seeing the beauty of it all. One of my favorite things is being in a cute rustic walking town somewhere where I can just get lost. I love going into coffee and tea shops, grabbing a drink and a pastry and being on my way. Seriously, I’m good to go. We’re all a huge hardworking team here at Michelle Lawson photography. We love what we do, having just a ton of fun and being silly all the time, and we hope to bring that same joy through your photos as well. I am super excited to be a part of the Michelle Lawson Photography team as an editor! I’m a South Florida native that loves to go on adventurous places like Mexico, Chile, Ireland, Africa(where I lived for a year) and many more. I have a huge passion for learning and seeing the beauty in every culture! Over the last 5 years, I have been blessed to be involved with non-profits that make an impact throughout the world. I have a passion to use my creative skills to support and help these non-profits, small and large, to have greater impact in the world. I believe life is about finding beauty and making more beauty in this world for others, and I take this philosophy into my editing. I desire to edit the perfect moments in each and everyone’s story. I love people!!! Plain and simple! I am passionate about making people feel special and learning from everyone I meet. Whether I’ve known you my whole life or for only 5 minutes...if I can make someone smile, I’m happy! Whats up!! My name is Jacob and I am 13 years old. My biggest passions are art, fashion and modeling as you can see by my picture! Being able to working with my dad is the best! I love editing for the family company! I take pride in the work that I do and always strive to edit your photos with care and detail! Thanks for letting me apart of your journey. I am a photographer, the photography and film assistant and an editor! I am the oldest to 5 brothers and 1 sister. I'm an avid reader and an artist. I like to think of myself as compassionate. I've been saved by grace and I always want to extend that same love and kindness to others. I'm confident in my work. I love to have fun. Having been homeschooled, I was able to finish up school early, which allows me the freedom to pursue the things I love. One of those is being a part of the Michelle Lawson team! Click to Check Out Our Work!